Cleaning your commercial space is essential for a variety of reasons and is not something that should ever be taken lightly. How would you rate the cleanliness of your establishment? Does it get cleaned thoroughly or a regular basis? Many business commercial business owners do not appreciate the importance of keeping their businesses clean. For that reason, cleaning is often disregarded or put on the backburner. 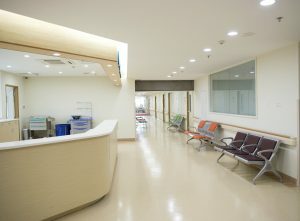 Cleaning your commercial space is essential for a variety of reasons and is not something that should ever be taken lightly. Keep reading and discover a few significant reasons why you should keep your commercial business clean! Did you know that for most people, there is a clear correlation between cleanliness and productivity? You are more likely to be productive at work if you are working in a clean environment. A dirty or cluttered space can make a person subconsciously feel stressed and overwhelmed. If you want your employees to be as productive as possible, you need to keep your work environment clean at all times! You do not want your employees working in unhygienic environment, do you? Since your employees likely spend several hours a day in your commercial space, you need to take the necessary steps to keep it clean! A dirty work environment will likely lead to sick employees. A customer does not want to walk into a dirty establishment. Do yourself a favor and keep your commercial space clean so that you do not turn away any potential customers. You also don’t want people to leave negative reviews saying how filthy your business is online. This will hurt your business’s reputation and could prevent it from succeeding. This entry was posted on Friday, February 8th, 2019	at 4:31 pm	and is filed under Commercial Cleaning	. You can follow any responses to this entry through the RSS 2.0	feed. Both comments and pings are currently closed.